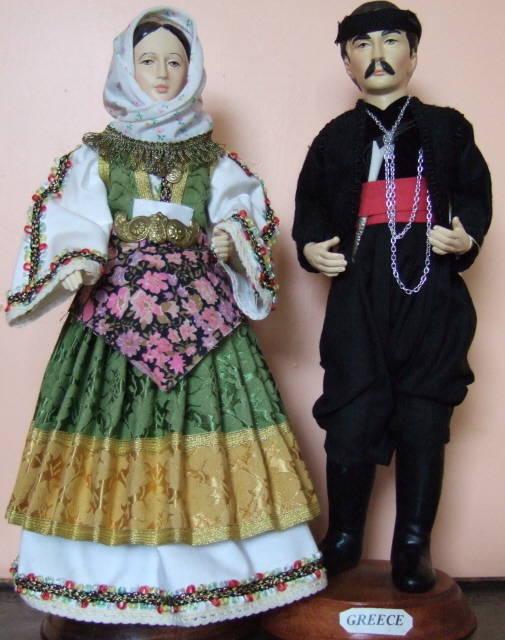 These dolls from Cyprus and Greece are Benaki Museum copies. 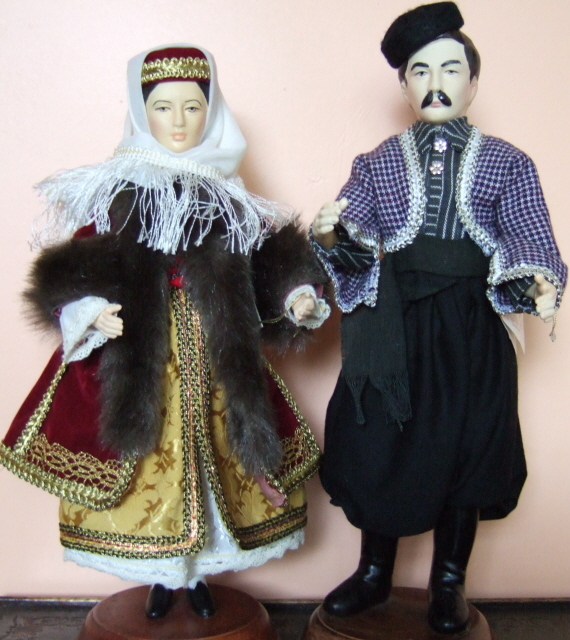 They are beautifully costumed, made of porcelain with painted hair and features with moveable arms and legs. Height 14"